It’s also the final night I can call myself a student as I’m graduating tomorrow. Audio electronics has become quite a passion/obsession. I’m incredibly grateful that I had the opportunity to sit in on the electrical engineering lectures. Probably my highest attendance for anything. Of the 50+ projects I started, here are about 20 that are completed and boxed up. Not including my MIDI switcher, thats still on the bench. H&K TubeFactor: rehoused and additional channel added. SHO dual boost: my favourite boost. OCD Overdrive: straightforward clone, but worked hard on the graphic. 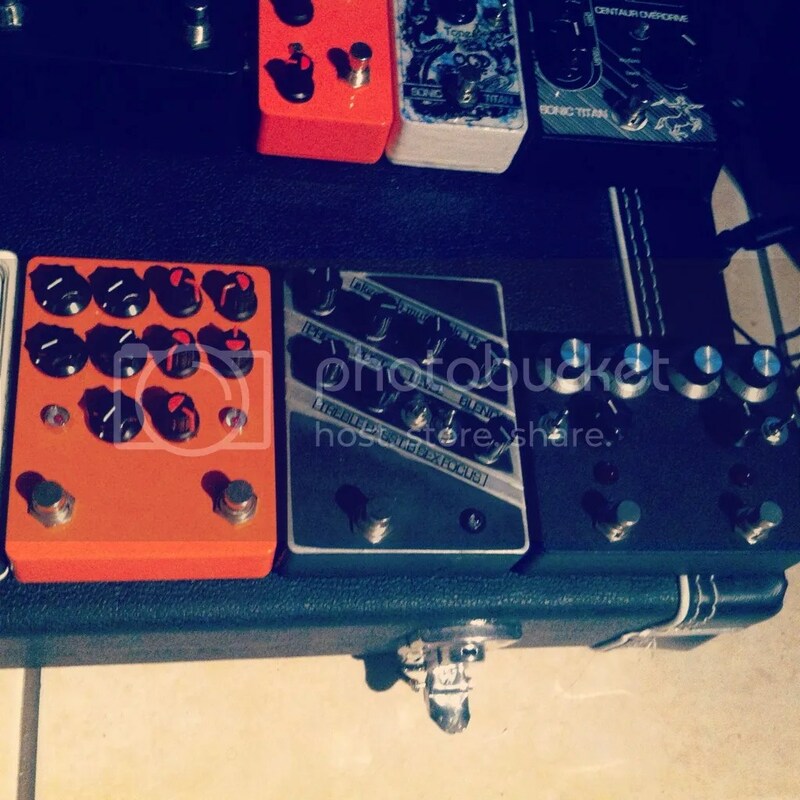 Centaur Overdrive: remake of the Klon Centaur with additional mods. 1st PCB’s designed and had sent in for fabrication. 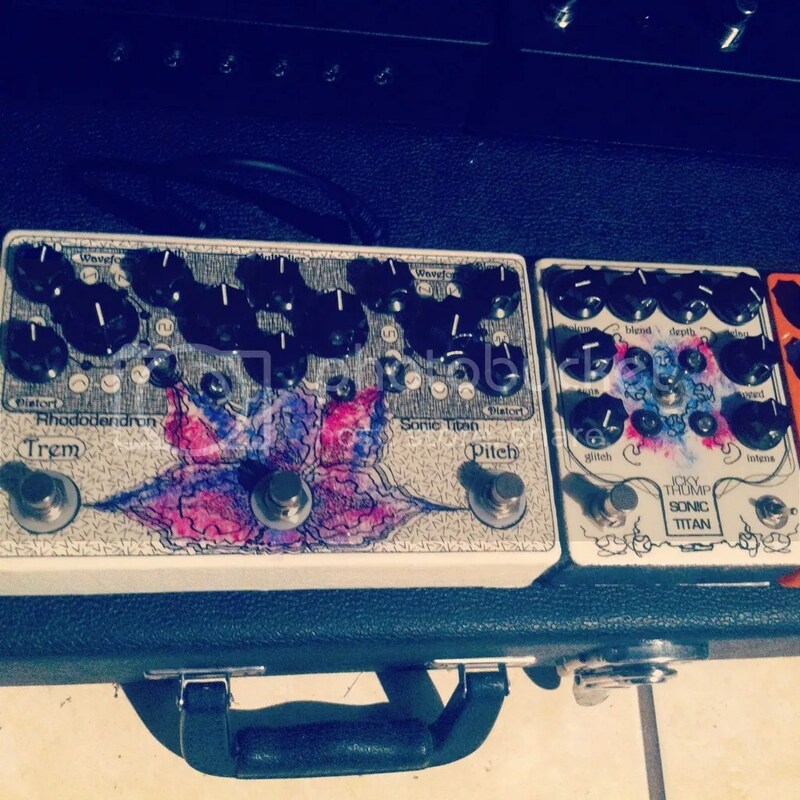 Woolly Mammoth and Fuzz Factory: straightforward clones. 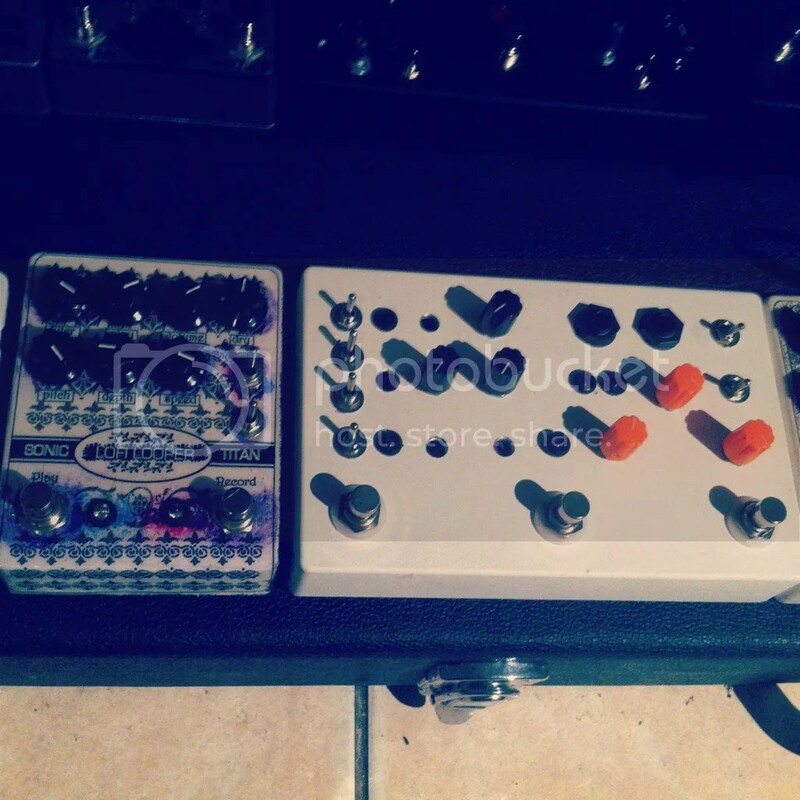 Couldn’t resist putting so many knobs on 1 enclosure. 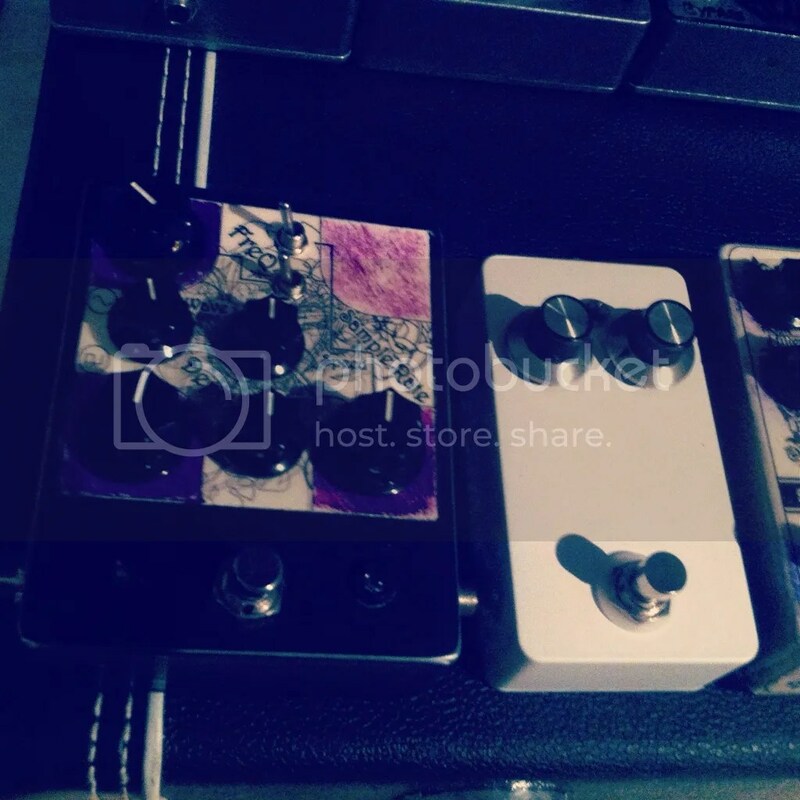 Skeedish Muff: to make my bass player happy. 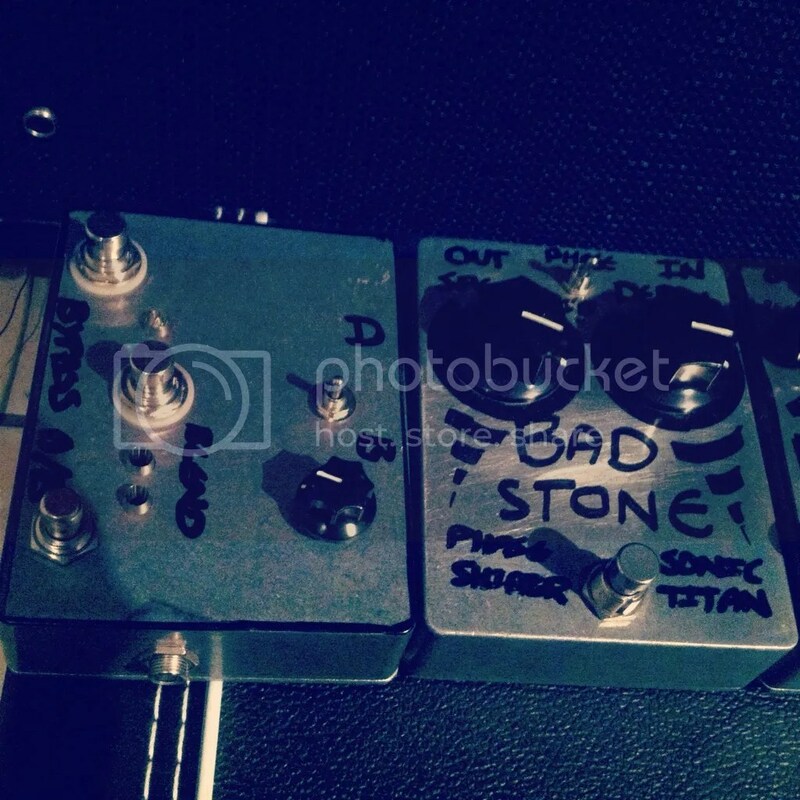 Roland BeeBaa and Foxx Tone Machine: the essence of vintage nasty fuzz. 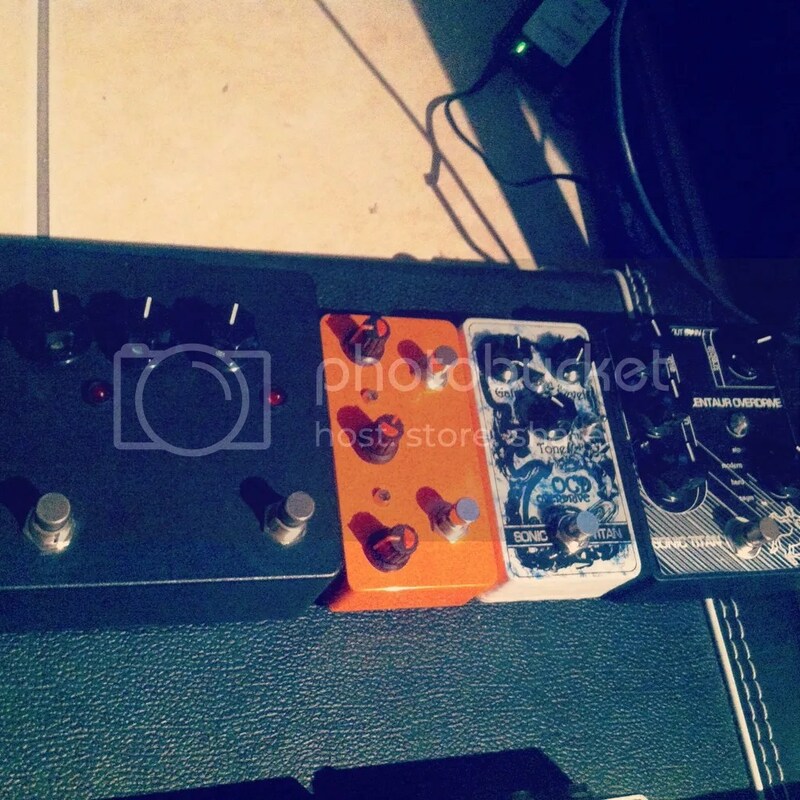 Icky Thump: delay, fuzz, vibrato. 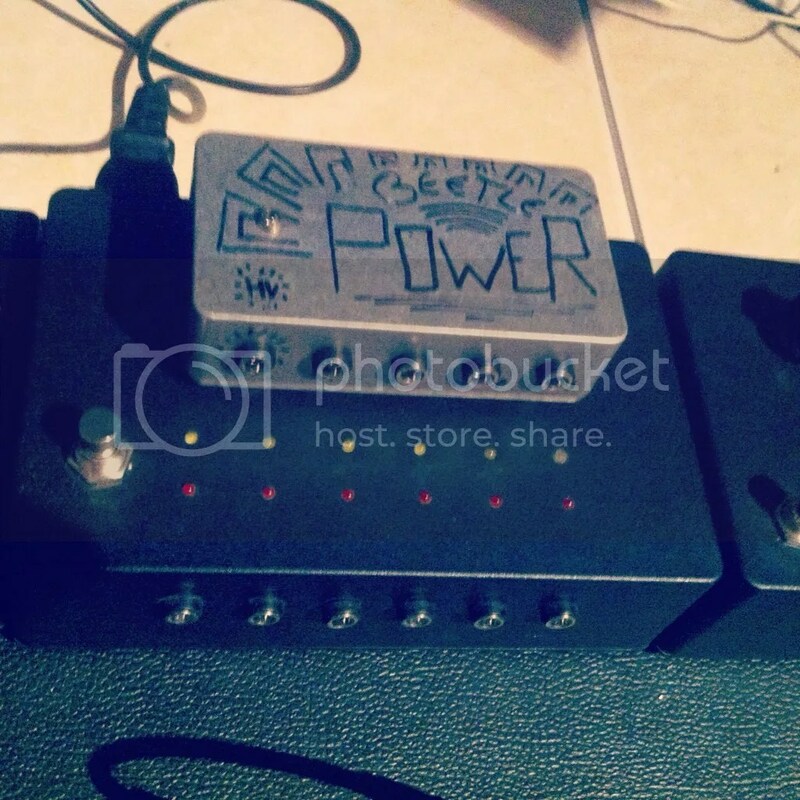 The first “Sonic Titan” pedal. Rhododendron: tap tempo Chorus and Tremolo. 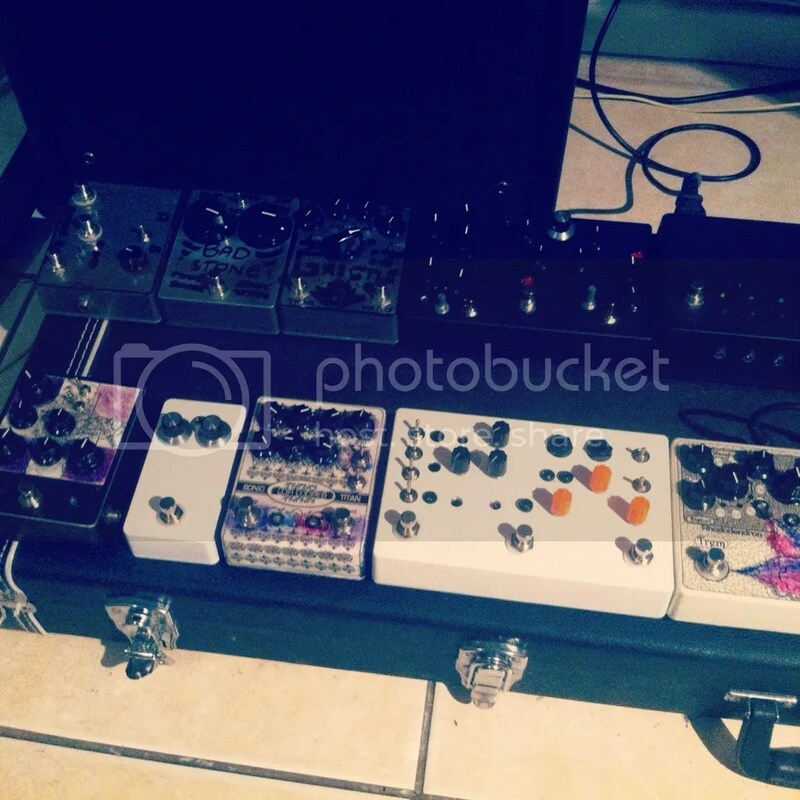 The most complex “Sonic Titan” pedal. 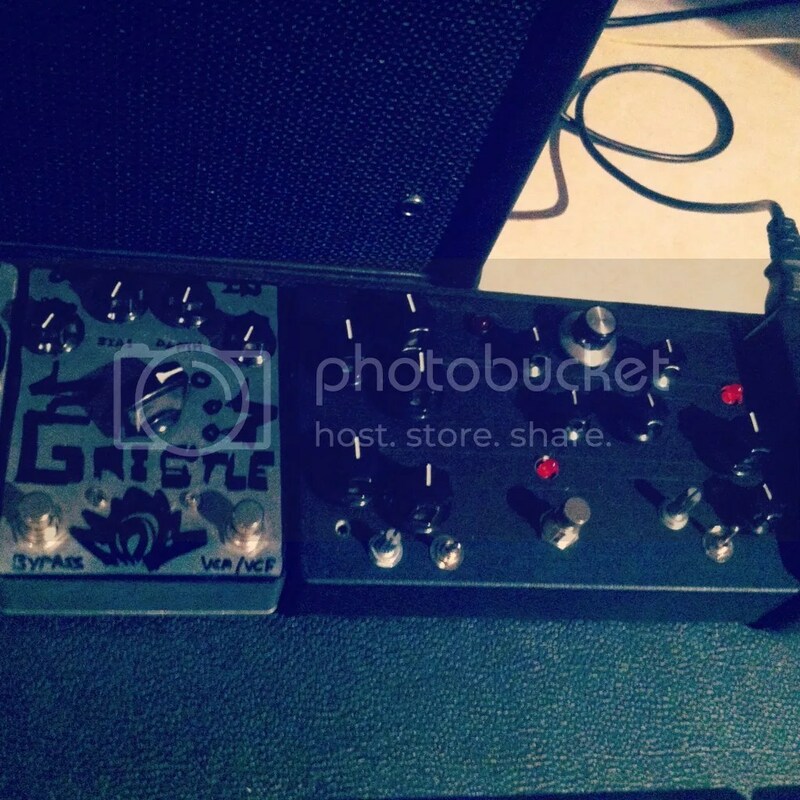 Mega Thump: Icky Thump expanded with tap tempo control and effects loop. Still some wiring to do to enable some features. Lofi Looper: playing around with a voice recorder chip. Sample Rate reducer + clean blend: 1st experience with a AC based bipolar power supply. Nonsense Engine: ??!!?! 1st big board mounted PCB layout. Active A/B + blend: will do a full write up on this one. 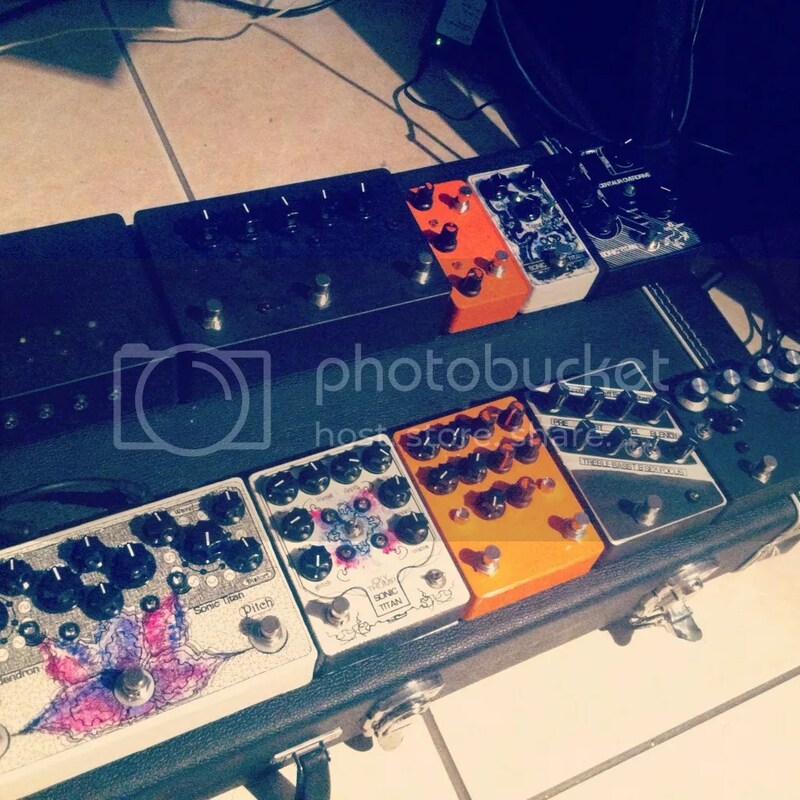 The main thing I learned is it’s probably not a good idea to build pedals for an outcome. It’s a process to enjoy. Haven’t kept accurate records but spent over R10 000 this year on bare components so it’s not exactly cheap either. This entry was posted in Significant Milestones. Bookmark the permalink.